The Ford GT will make its first appearance with a private team in this year’s 24 Hours of Le Mans. Keating Motorsports has been confirmed on the preliminary entry list for the 2018-19 FIA World Endurance Championship season finale on Jun. 15-16 with a single car. Previously, the Ford had been run exclusively by the factory Chip Ganassi Racing operation in the GTE-Pro category. U.S. racer Ben Keating is set to share driving duties in the No. 85 machine with 2008 LMP2 class winner Jeroen Bleekemolen and 23-year-old Brazilian Stock Car champion Felipe Fraga. Keating told Sportscar365 that that entry will be comprised of crew from Riley Motorsports, Chip Ganassi Racing and Ford Performance, in a “legitimately group effort” for the Texas-based squad. His team earned an automatic invitation to the 87th edition of the French endurance classic by winning the Bob Akin award for his results in the IMSA WeatherTech SportsCar Championship. 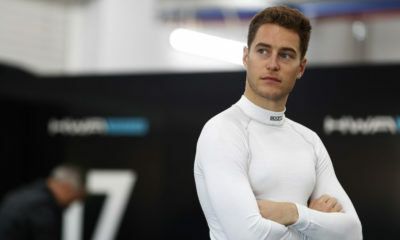 It will mark his fifth consecutive Le Mans in a different car, and his third entry into the GTE-Am category. The 47-year-old first ran an SRT Viper GTS-R in 2015 before contesting the next two editions with Oreca and Riley LMP2 machinery. He then reverted to GTE-Am in 2018, fielding a Ferrari 488 GTE operated by Risi Competizione that finished on the class podium.